As a primary domain level certificate, RapidSSL certificate provides instant security to your website. A 256-bit encryption and cheap price will make your online data secure than ever before. RapidSSL certificate is the best SSL product by RapidSSL for small businesses or individual looking for cheap SSL solutions. We offer RapidSSL at Just $8.50 for 1 year and if you buy this certificate with extended validity, you can have it at cheaper price of $7.50/yr. RapidSSL certificate secures your customer's transaction with highly secure 256-bit encryption. RapidSSL Certificate is recommended for small and medium businesses that required adding SSL on store for secure checkout and data security. RapidSSL is the lowest price certificate in the market and when you buy or renew it from us you save up to 80% compare to RapidSSL CA price. We recommend you display site seal on your website to show customers that the website is secured with highly trusted SSL certificate. Cheap SSL Shop keep their selling price low and pass the profit to customers to get this RapidSSL certificate at cheapest price. RapidSSL Certificate secures the conversation between web browser and company server with robust 256-bit encryption. By giving a new height to online security; it provides a surety of secured online transactions to customers. A certificate also offers a money-back guarantee in case of any abuse of a certificate. RapidSSL certificate is well matched by the majority of browsers. A Free site seal boosts customer's confidence and assures about website reliability. RapidSSL Certificate is ideal for those organizations that are security conscious and want a permanent solution for the following data between a web browser and a web server. This Domain Validation Certificate establishes a trust in online shoppers by removing a fear from their mind. RapidSSL certificate issued for www.yourdomain.com will secure both www.yourdomain.com and yourdomain.com in single SSL certificate. Domain validation process makes issuance process very fast and it takes only 10 minutes to issue RapidSSL certificate. RapidSSL certificate carries 2048-bit root encryption as well creates a secured channel between user's browser and the application server with 256-bit encryption. RapidSSL CA offers maximum browsers compatibility and enables https:// without any error. It also supports all mobile phones and smart phones OS like, IOS, BlackBerry, Android, Windows and others. As soon you complete SSL enrollment process, you will receive domain approve email to authorized email address. This is called domain authentication process. You don’t need to mail or fax any kind of papers to RapidSSL. You will have free re-issuance of RapidSSL certificate if private key is lost, change organization name or wish to change server location. At Cheap SSL Shop, we offer free cost and unlimited SSL rekey and reissue facility. RapidSSL offers $10K warranty when any misissuance of certificate is occurred. Thus, RapidSSL gets rid of financial worries as well provides online safety. 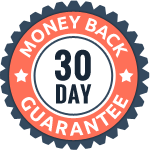 When you buy or renew RapidSSL Certificate from Cheap SSL Shop, your purchase is protected with 30 days 100% money back guarantee. 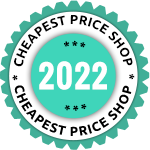 Yes, we do not charge any processing fees or hidden charges. With every RapidSSL certificate purchase, you will get free cost RapidSSL site seal. When users see a RapidSSL site seal on your website, they assure that website is safe to make transaction.